Seo is very important because it involves the search engine spider downloading your web page and then broadcasting it on search engine Sever and it is normally known as indexing.Some other search engines have also reach out to the seo industry too. In this tutorial there are many other things you need to be sure of before click on what you don't know but for sure am going to give you some brief explanation. Clicking on All means: you want all your pages to be index and that means everything on your site will be granted to the spiders to crawl on it. and it can be switched to another option if necessary. Clicking on index means: this is to deactivate your blog page from Showing on Google search results. Clicking on no translate means: this simply means that your robot will not translate any of your content into serp nomageindex that is your Post image on your Post title will not be visible in Google search engines. 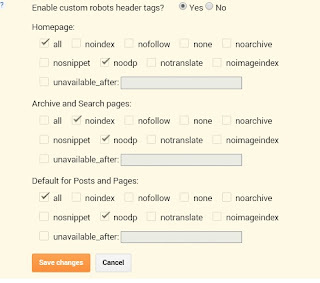 Clicking on noodp means : this withdraw the title of your blog and meta tags from open directorys. Clicking on nofollow means : this is not the best for seo so you shouldn't choose it because it tells not not to crawl everything both the external and internal links in you blog pages. Clicking on no archive means : you page won't have a cache on Google. First you login to your blogger dashboard and select the actual blog you want to work on. Now scroll your mouse down to the settings tab just click on it. 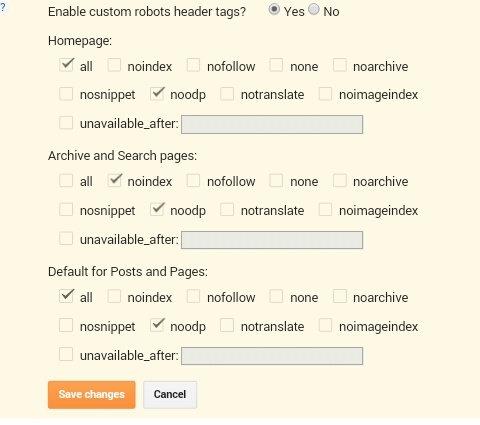 On your search preference page scroll down and click on custom robot header tags. Now just take a look at this image below or follow the writings. That's all you need to do and Google will start sleeping in your blog lol. Don't forget to drop your comment below thanks. wow nice writeup..it really amazed me and i love it but boss am i going to use system to do it? A very interesting and brain-filling post.